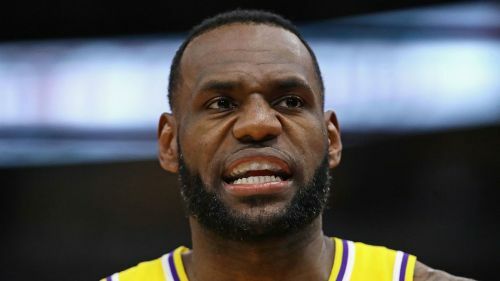 LeBron James described the Los Angeles Lakers' season as "not what we signed up for" after they were officially eliminated from playoff contention. James will miss the playoffs for the first time since 2005, with a 111-106 defeat to the Brooklyn Nets on Friday ending the Lakers' slim postseason hopes. Despite tallying 25 points, 14 assists, and nine rebounds, James labelled his performance as "s****y" and said: "Obviously, it's been a tough season for all of us. The Lakers' campaign has had its ups - notably a Christmas Day win over the Golden State Warriors and a comeback triumph against the Houston Rockets in the first game after the All-Star break. However, James suffered a groin tear in the defeat of the Warriors and the victory over the Rockets has been followed by a run of 12 losses in 14 outings. It remains to be seen how many games James will play down the stretch with no meaning attached to their remaining fixtures. The 34-year-old added: "I'm probably going to have a conversation with the coaching staff and my trainer and go from there. "But I love to hoop. S***, I'm going to have five months and not play the game. So, you know, hopefully I can be in as many games as possible." NBA: Should LeBron and the Los Angeles Lakers move on from the 2018-2019 season?